For those who want to get started investing in solar energy, either as a way to bring in a steady stream of income or to help boost the impact of solar electricity in places where it can literally change people’s lives, a South African startup is helping to make it easy. However, unlike other solar investment opportunities, which are generally larger in scale, The Sun Exchange offers the ability to buy in to solar projects at probably the smallest possible level, by purchasing individual solar cells in small projects, after which the owners can reap their share of the revenue generated by the sale of electricity from those cells. The program is built around a crowdfunding-like model (“a crowd-sale”) that seeks to cover all of the installation and leasing costs for each project before it gets installed. Once a project is successfully funded, each investor receives a unique reference number for each solar cell that allows them to locate their solar cells both geographically and “specifically on each solar project,” and to even physically visit their cells if desired. The Sun Exchange assures participants that they actually own the solar cells, and could choose to opt out of the lease agreement and even “take physical delivery of them, provided that you pay the collection and delivery costs,” although one assumes that the company wouldn’t physically dismantle a panel to part out the individual cells. 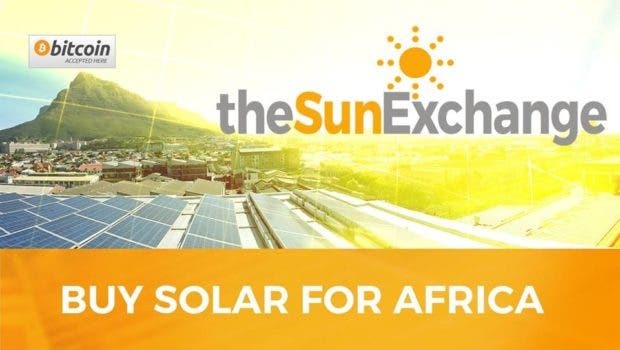 Currently, The Sun Exchange is offering solar cells in projects located primarily in southern Africa, but plans to expand its business into other locations both in Africa and on other continents, with the aim of developing a diverse solar portfolio. It appears as if the company has been so successful as to have fully completed the sale of solar cells for the projects listed on its site, although there is one open project, for a 100kW solar microgrid that will “electrify an entire rural village in the Mountain Kingdom of Lesotho.” More information is available at The Sun Exchange.